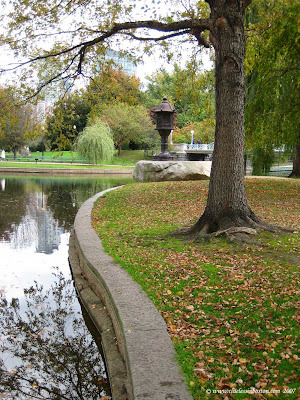 Autumn in the Public Garden. I am so jealous of all you people in the Northern Hemisphere and your wonderful Autumn photos - over here it is summer all year round - the coconuts never leave their leaves!!!! Well, Clueless, I'm glad you enjopyed the scene. Ther's nothing like a good floor and a hook to hang on to. I love how you took this photo. The lines going around the water are great.